Windermere Replay was set up by the Windermere and Bowness Civic Society almost a year ago to restore the open space back to the much loved and well used park it once was at Millerground, on the Windermere lakeshore off Rayrigg Road. The 39 acre Millerground site is owned by South Lakeland District Council (SLDC), Rayrigg Meadow Trust and the National Trust and all the landowners are supporting the project, which is also backed by Windermere Town Council. SLDC formulated the bid with the Windermere and Bowness Civic Society to the ‘People’s Millions’ Lottery fund under the campaign name Windermere RePlay (‘Re’ for Regeneration and ‘Play’ for playground). Millerground is one of the oldest public access points on the lake and one of the few remaining areas on the east side of the lake within walking distance of Windermere that is still free and open for all the community to use. It offers a peaceful natural environment and many years ago was routinely enjoyed by residents and visitors offering stunning views of the lake and recreational family-friendly facilities for boating, bathing and walks and picnics. Over the years it has become run-down and overgrown and many well used features have become eroded. The intention now is to restore the park to its former glory as a spectacular natural asset for not only Windermere residents but also anyone visiting the area from South Lakeland or beyond. Community volunteers and students from local schools have been regularly turning up in all weathers and, with the help of National Trust Rangers, have been helping to clear undergrowth, restore pathways, plant bluebells and replace broken fences and gates. The project will involve the design and development of a children’s playground on the shores of Lake Windermere for all ages and abilities which will form part of restoring a historic wooded lake shore area. The playground will use natural materials and be designed through community consultation. Some small grants and funding have been received from local businesses, individuals and the district council and these have helped to purchase basic materials, gravel and bulbs. If successful the money would be used to create a new outdoor natural, fun and challenging play area for all generations which will be a centre-piece for the regeneration work. The play area would be installed in the field above Millerground near the car park. It would provide a wonderful facility for children of all ages and abilities, as well as their parents and grandparents to have fun together. The Windermere RePlay bid will now feature in a short film to be shown on ITV Border News on 25 November 2014. It will be up against another project in Cumbria (a Carlisle-based charity) in a head-to-head on 25 November, with viewers invited to call a phone number to vote for the project they would like to see get the money. Whichever of the two projects receives the most votes will get the £50,000 prize. 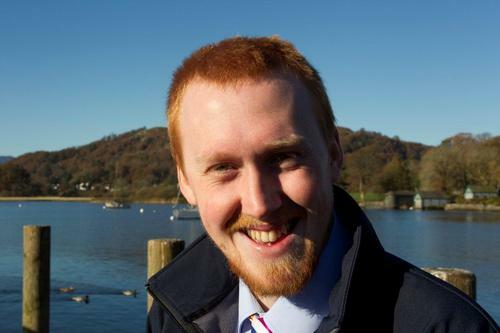 Windermere RePlay project leader John Saunders says: “This is like the X Factor for community projects – and we are appealing for South Lakeland residents to back us to win! “Millerground is already a wonderful community asset but we want to make it even better and to encourage more people of all ages to enjoy it. “It really is a wonderful place and it’s somewhere that everyone in South Lakeland can enjoy, as well as being a great addition to the area’s tourism offer, which supports the local economy and so many local businesses. So people can follow the progress of the campaign dedicated social media accounts have been set up. Mr Saunders added: “We will be using Twitter, Facebook and the website to give lots of information about the project and to encourage people to vote for us, so we hope as many people as possible will check out these pages to show their support for what we are trying to achieve. “We will also use them to publicise the all-important voting phone number on 25 November. Anyone who doesn’t have internet access will be able to call SLDC on 01539 733333 on 25 November to be given the voting number, which will also be published in that day’s edition of the Daily Mail. “The TV film will be shown across the Border region, but votes will be accepted from anyone nationwide, so we hope people will get their friends and relatives across the country to vote for us on 25 November. Wishing you the very best of luck for this fantastic project that will benefit the whole community.